Nothing But the Truth Publishing, 9780996307482, 58pp. 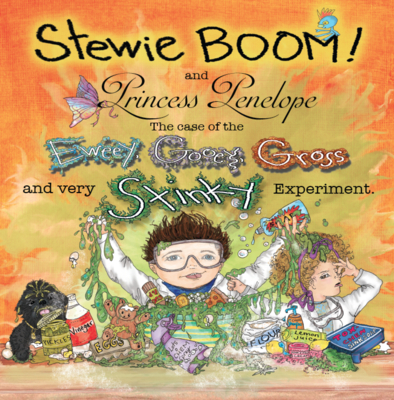 After Stewie and Princess Penelope make a gooey mess, the BOOM family realizes it's time to get rid of yucky chemicals and gross toxins throughout their home. But Stewie is worried that if they go green, he won't be able to do his beloved experiments anymore Then he learns that there's even more fun to be had once the BOOM family cleans up their act. Includes a glossary, tips for greening your home, and fun recipes and "experiments" for the whole family.